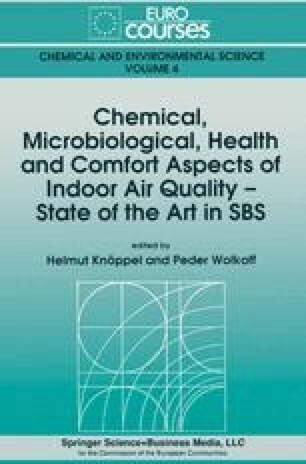 There have been three systematic studies in Europe, using randomly selected buildings and relating multiple office building characteristics to the symptoms of sick building syndrome. The studies have varied in design and to a certain extent in conclusions. All have shown an excess of symptoms in sealed, airconditioned buildings when compared to naturally ventilated buildings.